Magick Without Tears, a series of letters, was the last book written by English occultist Aleister Crowley (1875–1947), although it was not published until after his death. It was written in 1943 and published in 1954 with a foreword by its editor, Karl Germer. The work is alluded to by the band Klaxons in their 2006 single "Magick"
Robert Anton Wilson's Audio series, consisting of a collection of interviews on topics such as language and consciousness, entitled Robert Anton Wilson Explains Everything (or, Old Bob exposes his Ignorance) may have been a reference to the title of Crowley's work. ^ "What is Magick? 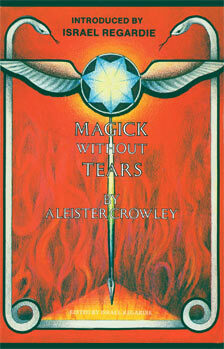 - Chapter I of Magick Without Tears by Aleister Crowley". Hermetic Library. Retrieved 24 November 2014.